It’s been almost a month since my last blog post. I’ve been pretty busy with other stuff and haven’t had much free time to put new thoughts together. It was my expectation that I would write a new blog post every week or so, and this is the first time since I started this blog that I haven’t quite done what I expected of myself. 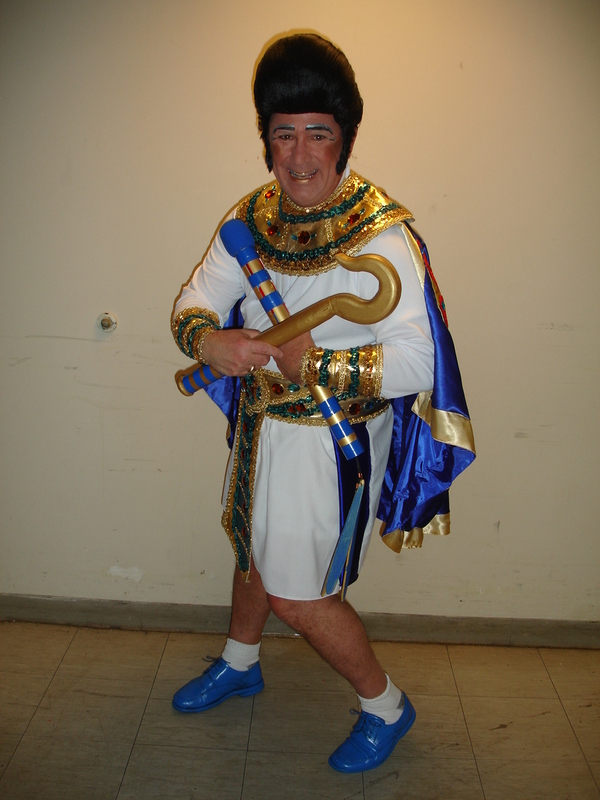 For the last 3 months I have been rehearsing for Muskegon Civic Theatre’s production of “Joseph and his Amazing Technicolor Dreamcoat”. We did 4 performances at the end of April and now it’s all done. I had the role of the Pharaoh. It was a great part and I had a ton of fun doing it. There was something about that costume that turned me into another guy. We had a cast and crew of over 100 people that all had to work together to put this show on. We all had certain expectations for each other to make this happen. And it was up the directors to let us know what they expected of everyone. The audience seemed to love the show so we all must have met everyone’s expectations to a certain extent. It was my wife’s 50th birthday a few weeks ago. She thought that she had clearly communicated her expectations for celebrating the event. And I thought I had clearly heard those expectations and planned a function, bought gifts and invited friends. Unfortunately what she thought she said and what I thought I heard were two different things and I failed to meet her expectations (again). I spent a few days in the dog house (again). I’m sure I’m not alone in this marital challenge. Many times we assume the other person knows what we want. But it all comes down to clearly communicating what we expect. A while back we handled a direct cremation for a family and they planned a memorial service at a local club, on their own, for several Saturdays later. They called the club, ordered the food, talked to the minister and handled all the details of that function. I would have been more than happy to take care of all of those details but the family wanted to save some money. So we placed obits in the paper to announce the service and provided them with a few other things they requested. On the Monday after the service they called to say they were disappointed that I didn’t make an appearance at the service. There was an obvious miscommunication. They expected me to be there and I assumed they understood that if they wanted to save money and do the service on their own that I would not be attending. While what we do as funeral directors doesn’t seem that complicated to the casual observer there are literally hundreds of little details that we take care of that make the event go smoothly. Our expertise is what people pay for. In all of these situations there were expectations. Some are expectations that we put on ourselves and some are expectations that other people have of us. And when those expectations are clearly communicated and met, everyone comes away happy. When the communication breaks down and expectations are misunderstood that’s when things don’t go so well. I don’t have an easy answer to keeping this from happening. But communication is the key. And there can never be too much communication.